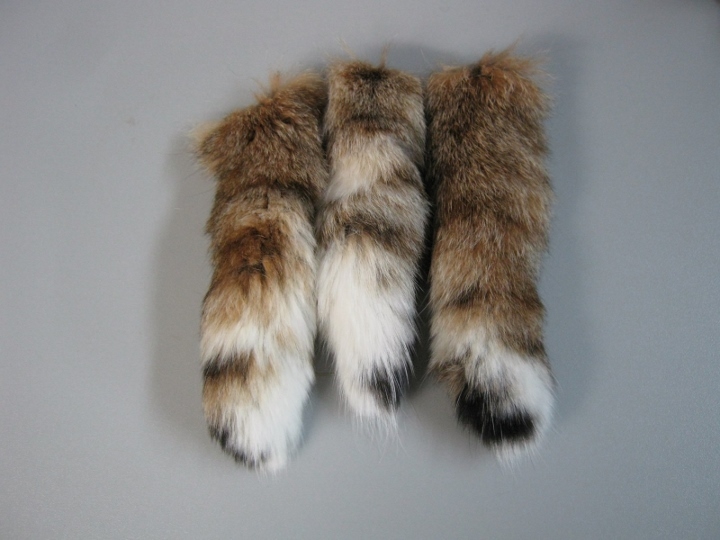 These are real tanned bobcat tails perfect for crafts and fashion trim. 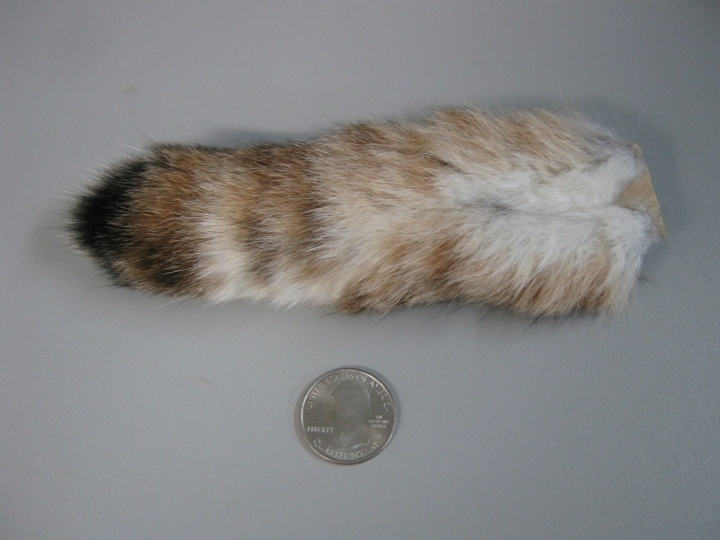 Bobcats are differentiated from Canada lynx by their shorter ear tufts and longer tails with banding and white under tip. 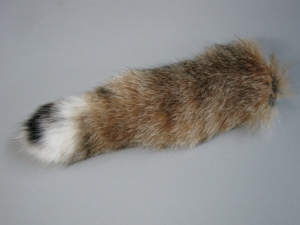 These tails are very fluffy and light, and they range between 13 to 15 cm long and about 5 cm wide. Please note that, as these are natural products, appearance and coloring will differ between each tail. We also sell these as ready-made keychains.